Ice pops are like summer on a stick, with all the sweetness and stickiness of July and August. 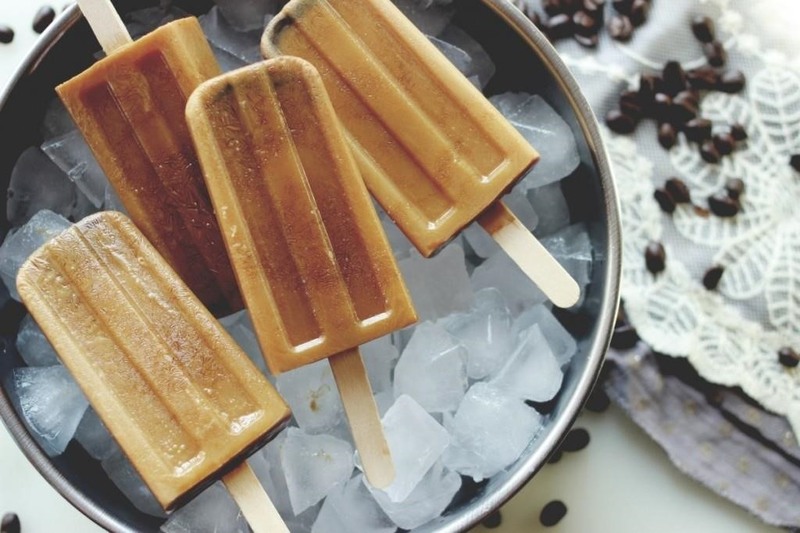 Store-bought popsicles, although refreshing, are never as good as homemade. So it's time to up your popsicle game with some of these beautiful creations, including some boozy pops (poptails) for adults. 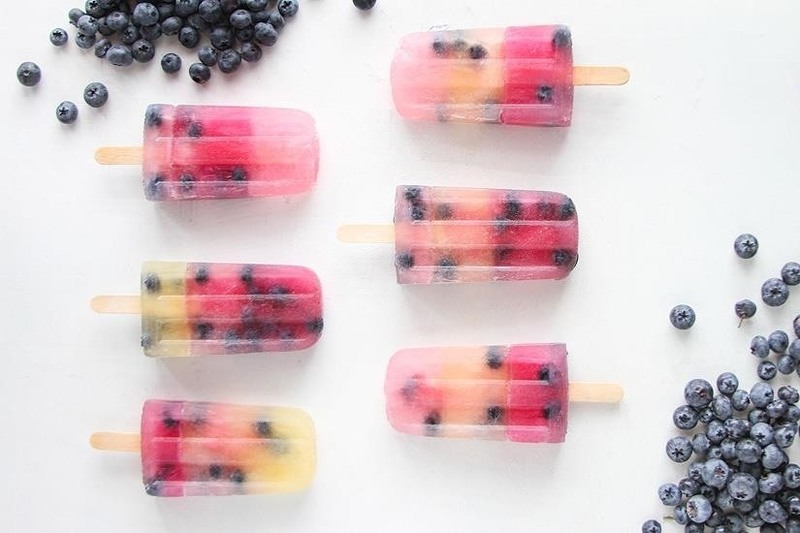 These lemonade pops are pretty and spotted with blueberries. 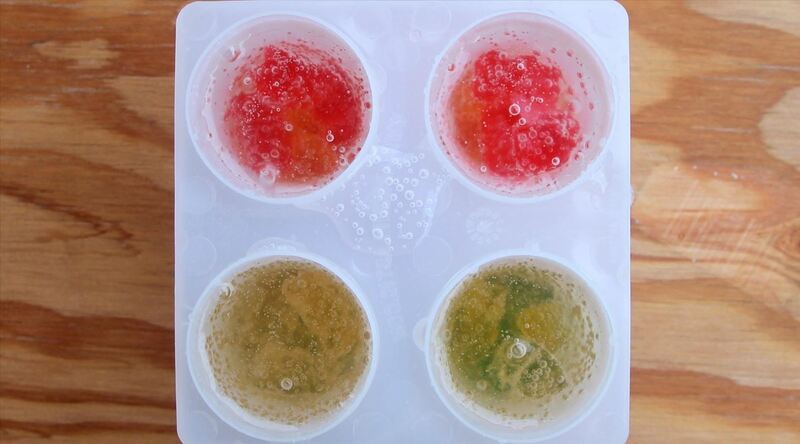 To create the look of layered colors, you add the different colored liquids (in this case, lemonade) in stages. Get the full tutorial from Paper N Stich. You know that ice-cold lemon and cucumber water that they always have at the spa? This is the same thing in ice pop form, and it takes refreshing to another level. It's beautiful for the eyes and hydrating for your entire body, and has almost no calories if you make it with stevia. Learn how to make them at Family Fresh Cooking. 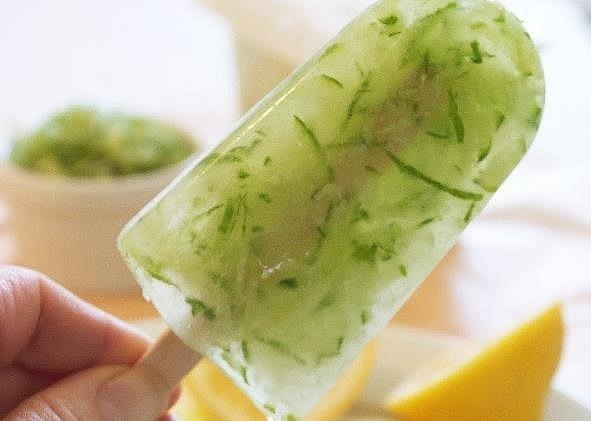 These clear popsicles are extra fun because you get to see gummy bears suspended inside! Adults will love their grown-up version even more, since it's made with sparkling wine. Fill your popsicle molds until they're about ¾ of the way full with Sprite. 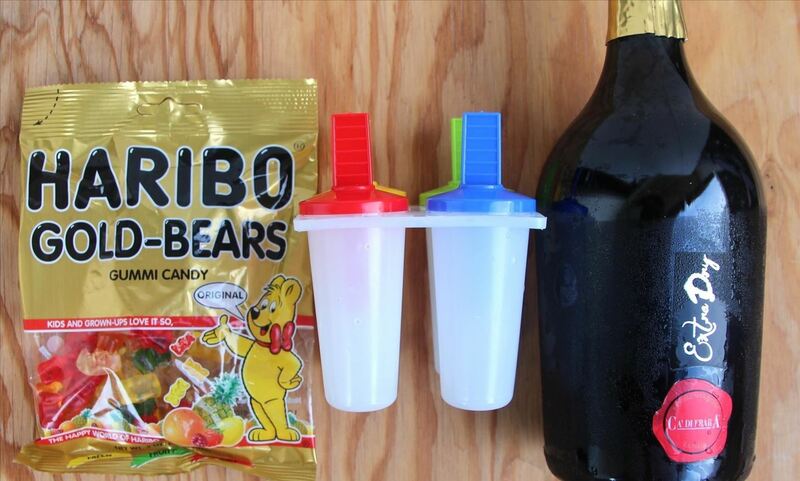 Drop in your gummy bears. Freeze. Combine equal parts sparkling wine and lemonade. 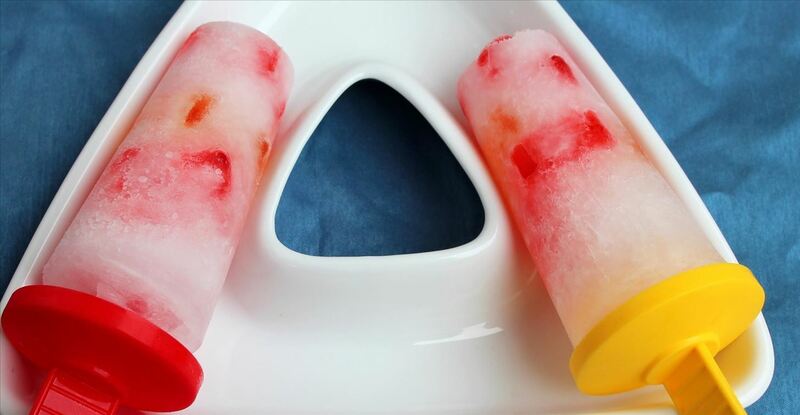 Fill popsicle molds ¾ of the way and then add gummy bars. Freeze. Note: Alcohol has a lower freezing point than juice or water, so these will be more slushy and will melt faster than your average ice pop. 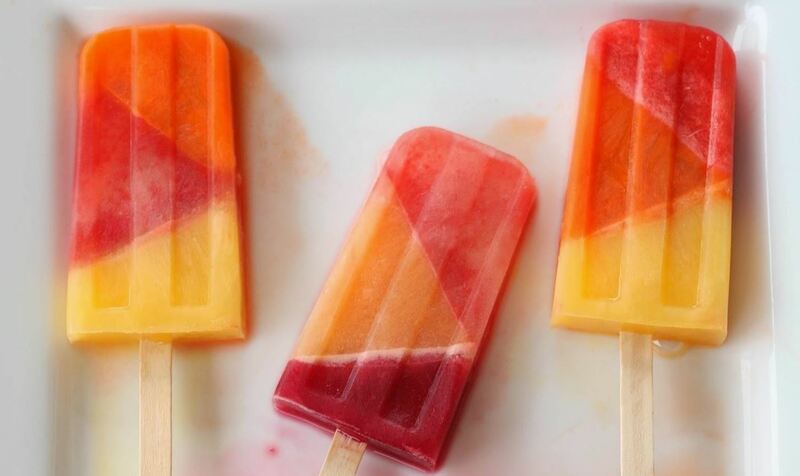 These pretty ice pops are made of fruit and vegetable juices and you achieve the diagonal layers by propping your popsicle mold on its side as you're freezing the layers. Read all about them at Kailo Chic Blog. 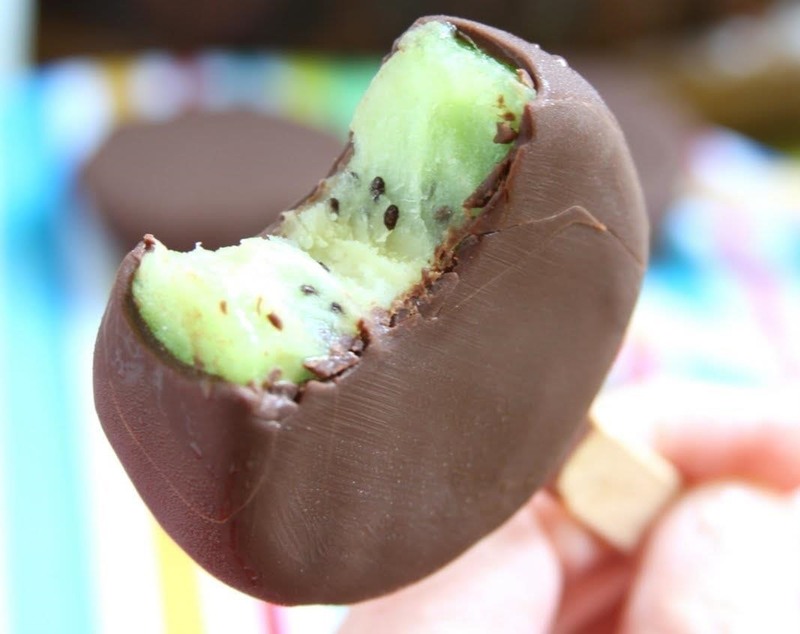 These simple but smart popsicles are made of thick kiwi slices covered with a coating of dark chocolate and coconut oil. After dipping the fruit in the melted chocolate mixture, you freeze them until they're cold.Show Food Chef will tell you how it's done. 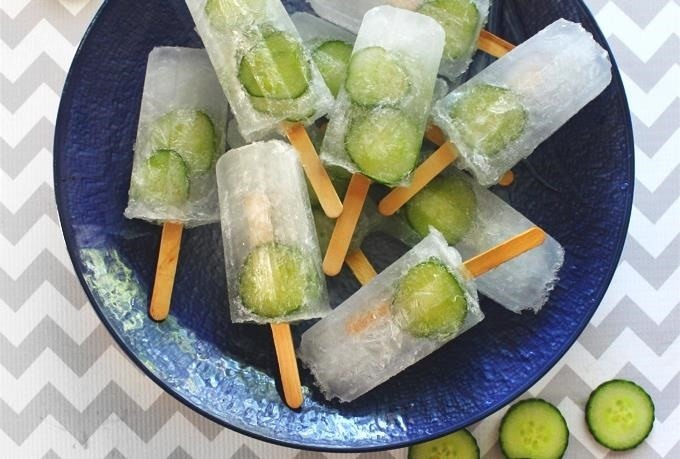 These are gin-and-tonics in ice pop form, and the cucumber garnish adds a lovely eye-catching element. You can learn how to make them over at Port and Fin. If you like extra lime flavor, you might want to add lime zest to the recipe along with the juice. If you've ever had Vietnamese iced coffee, which is made of dark roasted coffee and sweetened condensed milk, you know how sweet and creamy it is. These have all the flavor in frozen form, and are very easy to make. This is also a great way to use up the leftover coffee in your carafe. Delectable Darlings has the recipe and how-to. It's Time to Scream for Ice Cream (Hacks)! Life is so much better with ice cream, which is why you need this tip to scoop it without breaking your wrist. Need a quick yet fancy-ish dessert for dinner guests? Make this no-bake ice cream sandwich cake in 10 minutes. And if you want to make your own ice cream from scratch, start with semifreddo, which doesn't need any churning and delivers great results. News: "Teens and Adults Respond Differently to Stress"